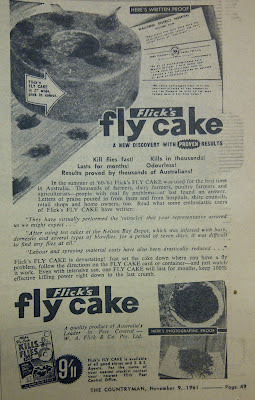 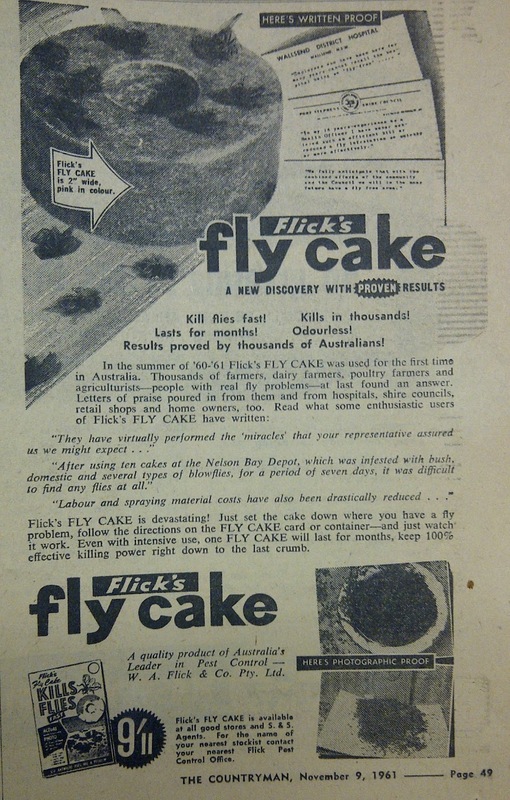 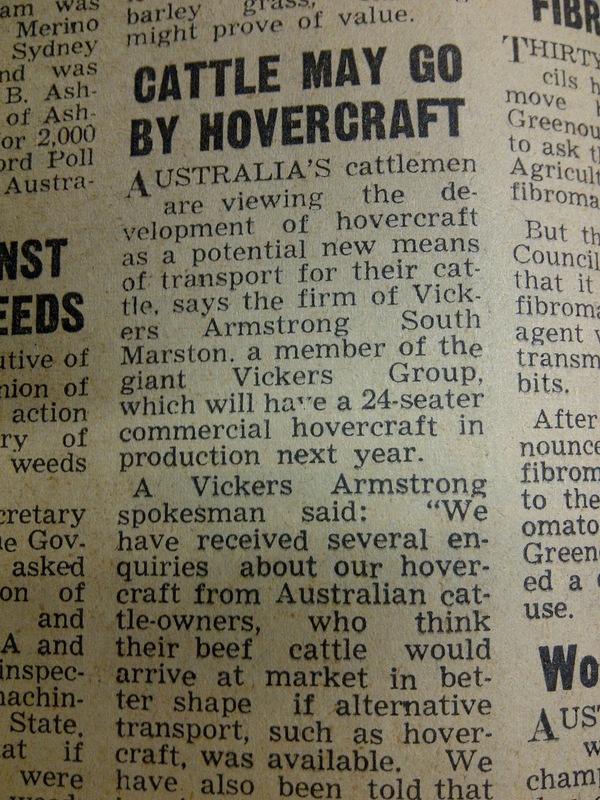 In 1961, rural Western Australia was just a few years away from replacing a bunch of cattle trucks with HOVERCRAFT. 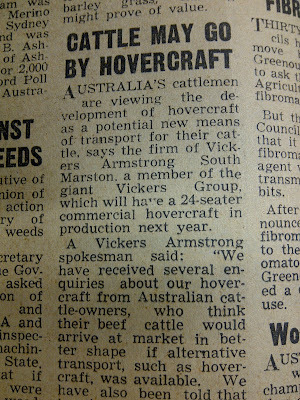 This is about the most retro-futuristic thing you could do to livestock farming without putting it on the moon. 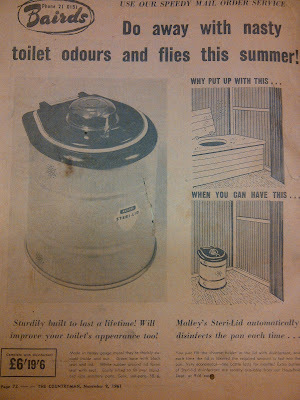 I imagine the trials for this would have been awkward when they realised the ground tends to have a lot of inconveniently-placed rocks and trees. 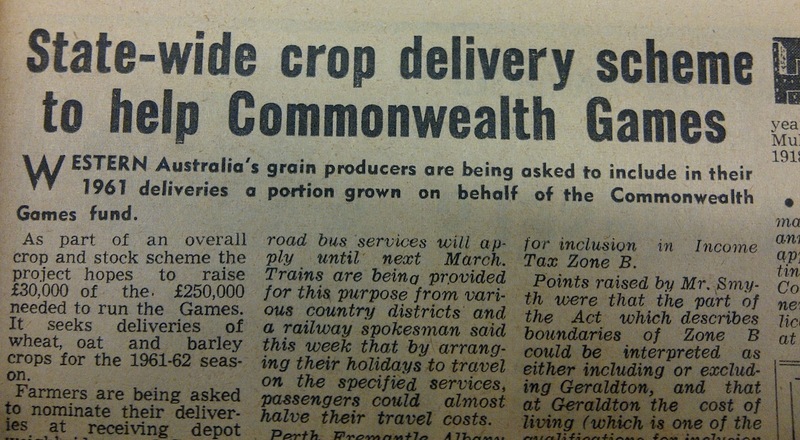 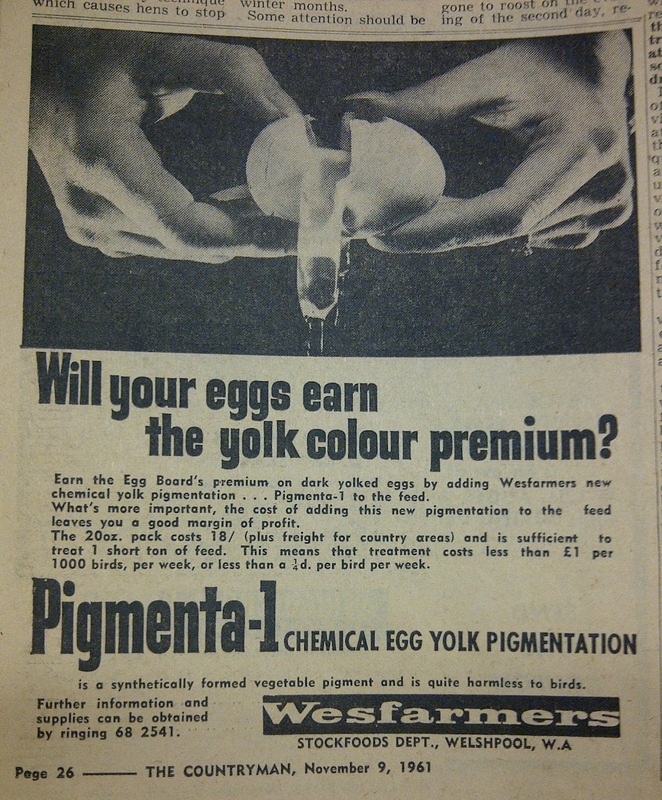 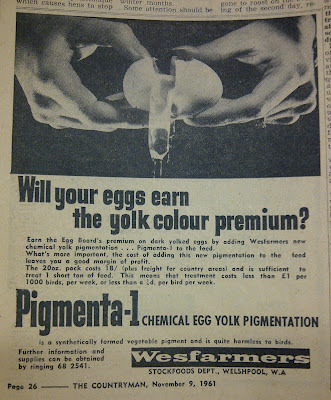 I draw your attention to the byline for this article: In 1961, the government was asking farmers to volunteer up a portion of their crops to support the 1962 Perth Commonwealth Games. 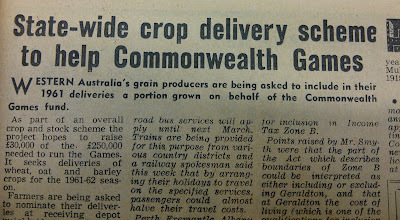 Just 50 years ago farmers were expected to support the government rather than the government bailing out farmers. 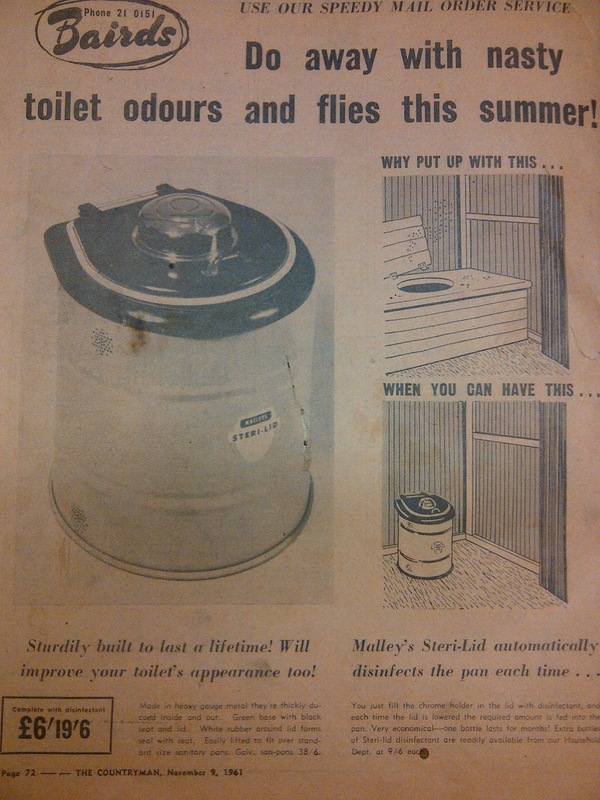 These last three need no commentary, they're just some ads you probably don't see too often.